Are Men Worse Drivers Than Women? In today’s world, both men and women generally drive motor vehicles to commute to work or school or to run errands. As a result, the age-old question of whether men or women are better drivers continues to be debated. Unfortunately, it is a question that has no easy answers. In fact, a recent article on Yahoo News suggests that neither men nor women are very good drivers and that both take different risks behind the wheel that can increase the risk of a collision. When a collision does happen, the victim or surviving family members may have certain rights to obtain compensation. A personal injury lawyer can help those who have been harmed in a motor vehicle crash to understand their rights and pursue a claim. Yahoo reports that a 25-year-old Oakland man with no accidents and no past tickets is going to pay $385 more in premiums for car insurance than a woman with the same driving history. Since insurers charge based on risk, this would suggest men are worse drivers. 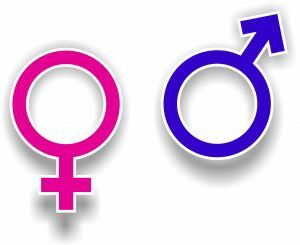 The gap between men and women’s premiums doesn’t go away as people age, although it narrows. Men end up paying thousands more during their life. Readers’ Digest reports that men tend to be better than women at many different kinds of driving skills. This would suggest that men are actually better drivers than women. The Daily Mail reported on a study of 6.5 million motor vehicle collisions between 1998 and 2007. Research into the collisions showed more collisions than expected involving two female drivers. Intersections were a high-risk area for collisions involving women. When looking more carefully at the data, it is easy to explain the apparent discrepancy. All of the studies show that while women may get into more fender benders and minor collisions, men tend to get into more very serious collisions. Men are more likely than women are to drive while they are under the influence of alcohol or drugs. They are much more likely to speed when they drive than women are. They make up 71 percent of people who are killed in motor vehicle collisions in the United States. When they are involved in accidents, the collision is more likely to be caused not by a lack of skill but instead by aggressive driving or other dangerous behavior. 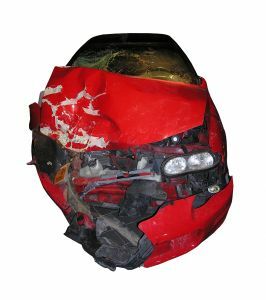 When a person totals a car, it is much more expensive for the insurance company than a fender bender. Likewise, if a driver causes very serious injury or even death to passengers or others on the road, insurance companies may have to pay out very large settlements to victims or surviving family members. As a result, insuring men costs more and men pay higher premiums not because they are more likely to become involved in collisions but instead because they are more likely to be involved in serious collisions. The Governors Highway Safety Association has published its annual report on agency activities. The GHSA is responsible for helping to improve road safety and reduce collisions. The report details the progress that is being made in protecting the public on roadways. Unfortunately, accidents continue to occur even as safety laws get tighter and safety efforts improve. If you or a loved one is the victim of a collision, a personal injury lawyer can represent you. Since 2010, more states have begun enacting and enforcing distracted driving laws. Just three years ago, only 28 states reported that distracted driving was a safety concern necessitating attention. There has been a 43 percent increase and now 40 states report distracted driving as a concern. The public is also becoming more aware, as more than 20,000 people accessed online resources on distracted driving provided by GHSA. Motor vehicle collisions remain the leading cause of death for young people between the ages of 15 and 20. Teenagers become involved in three times the number of fatal motor vehicle collisions as all other drivers. Efforts to reduce teen driving deaths include the Ford Driving Skills for Life Program, which is in its 11th year and which GHSA helped to develop. The DSFL program awarded $100,000 to state highway safety offices last fiscal year to promote safe driving for teens. National Driver Safety Week was also held in October of last year. Drugged driving is becoming a bigger concern as states like Colorado and Washington have legalized recreational marijuana use. GHSA strengthened its drugged driving policy last year and is encouraging states to expand existing Administrative Law Revocations or enact new revocation laws for drug-impaired motorists who refuse to take a drug test. Administrative revocation of a license is already the law in most cases when a motorist refuses to take a test to detect his blood alcohol concentration (BAC). Motorcycle fatalities declined seven percent last year, but motorcycle safety has not increased over the past 15 years. The GHSA published a report featured in 20 publications on the issue, which prompted advocacy for new laws to require helmets for all riders in four states. Motor vehicle collisions remain a leading cause of fatalities for young children. However, more than a million people visited GHSA’s online resources to learn about child safety seat laws last year. GHSA is also working with the National Highway Traffic Safety Administration to facilitate the implementation the Moving Ahead for Progress in the 21st Century (MAP-21) law, which was signed into law in July of 2012 to fund transportation programs nationwide. While government agencies could certainly do much more to help motorists and to improve road safety, this report highlights some areas where the GHSA is at least trying to make a difference in reducing the risk of collisions. Student accidents are a very real risk for both high school and college athletes. Unfortunately, when the school staff overseeing the sports programs are not properly trained, young people may be at risk of brain injuries and other serious health problems. The state of Connecticut has taken an aggressive approach to protecting young athletes from getting hurt at school, passing legislation designed to ensure that schools do what it takes to keep kids safe. If a student accident causes injury to you or a loved one, call the Law Offices of Mark E. Salomone & Morelli. According to the Norwich Bulletin, Connecticut became one of the first states in the country to enact legislation designed to minimize the risk of concussion to young people playing sports. Concussions can impact memory and cognitive function and can have a lasting impact on health, including increasing the risk of dementia later in life, particularly in cases involving repeated head injuries. Lawmakers in Connecticut enacted legislation in 2010, as the dangers of concussions became more well-established. Under the legislation, anyone given a state permit to coach either interscholastic or intramural sports is required to receive periodic training on both recognizing and treating concussions. Further, any student who was sidelined for having a suspected concussion is required to get medical clearance before being allowed to resume playing the sport. Other states have since passed similar legislation designed to ensure that school staff and coaches know how to respond appropriately to a head injury. 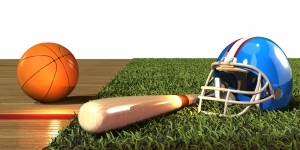 Connecticut decided to once again consider the issue of concussions and sports accidents in 2014, to expand its laws and to continue to be a leader in protecting children. The General Assembly’s Committee on Children heard testimony about an expansion to the 2010 concussion law, which would impose tougher restrictions and add additional public education components. The proposed law would limit the amount of time spent in practices for contact sports to a total of 90 minutes per week. The State Board of Education would also be required to develop a concussion education plan and operators of youth athletic activities would be required to provide information on the risks of concussions to both young athletes and their parents. Local and regional school boards would need to report all instances of concussions that young student athletes experience, and an awareness education program would be developed about the dangers of concussions. Taking a comprehensive approach to preventing concussions is important because of the lasting risks of brain injury, especially on a developing brain. When a young person does suffer brain injury, it is important to determine if the school or coaches were negligent in a way that caused or exacerbated the damage. In such cases, it may be possible for the victim and his family members to obtain compensation for the losses and damages resulting from the brain injury. Contact a Hartford accident attorney today at the Law Offices of Mark E. Salomone & Morelli. Calling 1-800-WIN-WIN-1 for your free case consultation or visit http://www.salomoneandmorelli.com.